Princess Charlotte Bay is a popular destination on its own. 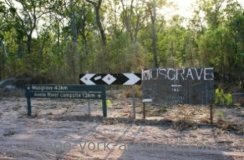 Just like Lakefield National Park and Cape Melville, it tends to attract people who come here for a long weekend or school holidays, often from Cairns, to camp and fish around here instead of doing the whole Cape York peninsula on the same trip. But even if you are planning to do the whole peninsula, you can get this area in if you have enough time. Furthest north is Port Stewart, accessible by a good gravel road, but it is not the greatest spot if you want to get out to the bay, unless you have a boat, because you only get to the river mouth, you can only see the actual bay from the distance. About half way out the Port Stewart Road a track turns in - it is the Running Creek Track, a fun four wheel drive track through to the northern parts of Lakefield National Park. 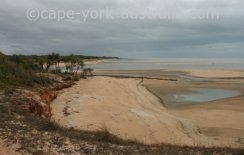 At the creek mouth there is a beach (UPDATE 2015 - access restricted, details in Destination Guide). 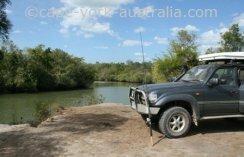 It is a great coastal fishing spot, and don't forget the crocs! 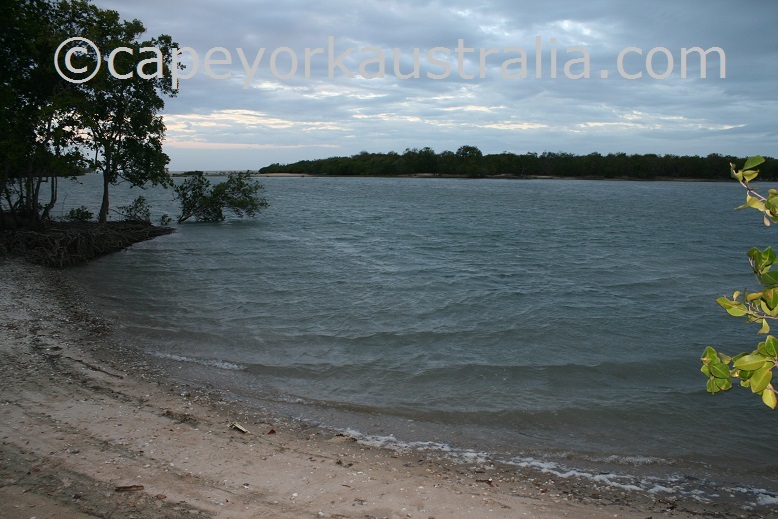 The third place is Annie River mouth and the area around it. 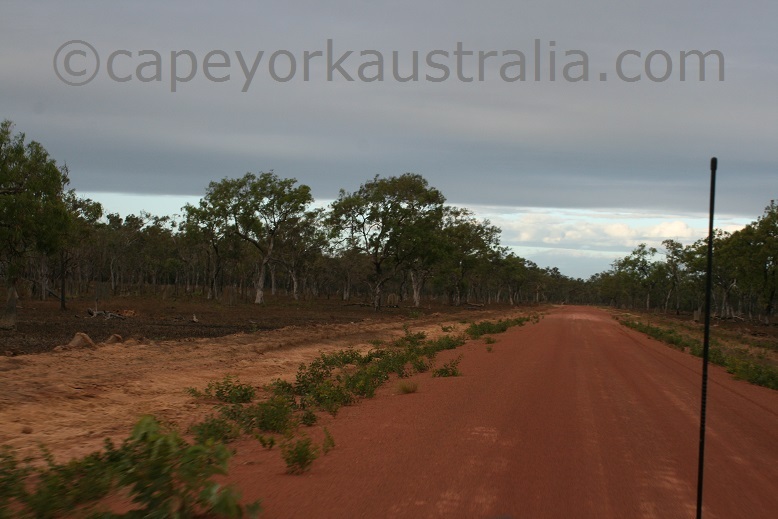 It is south of the Running Creek Track, the turnoff is 43km east of Musgrave on the road into the central parts of Lakefield National Park, which is also the western (and main) access road to Bathurst Head and Cape Melville. 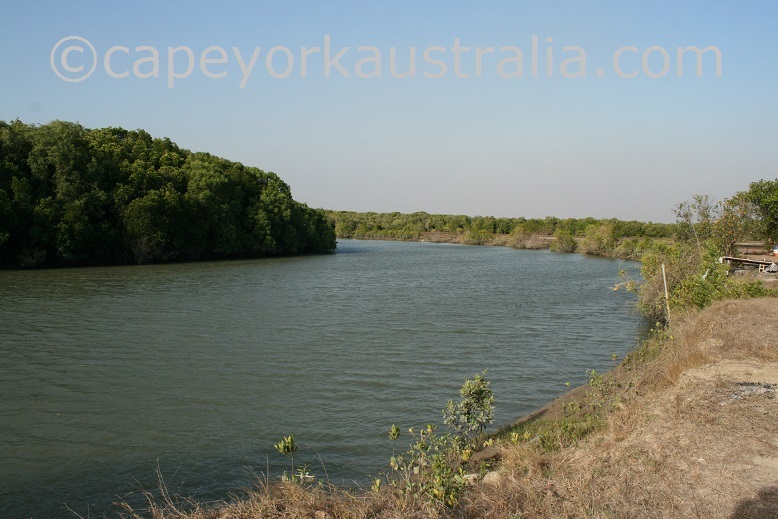 Annie River is a beautiful, and popular, place to fish, but all you get to see is the river - not the actual bay. 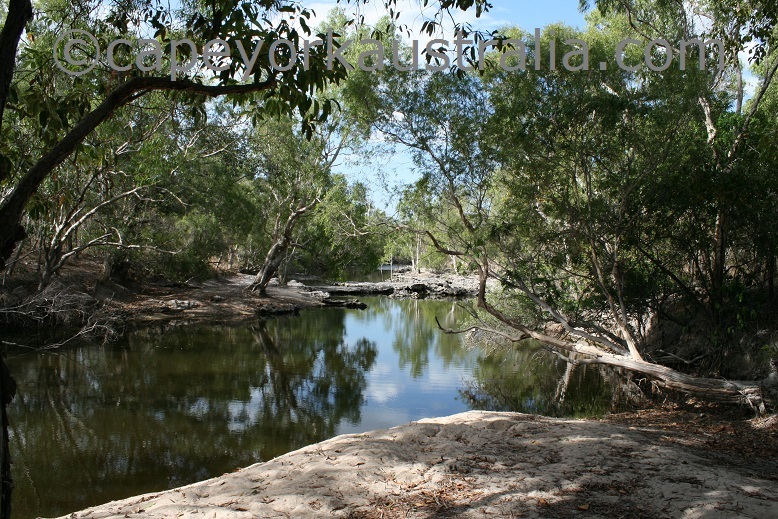 The river also means mozzies but they don't seem to stop people from coming and enjoying this great fishing spot. 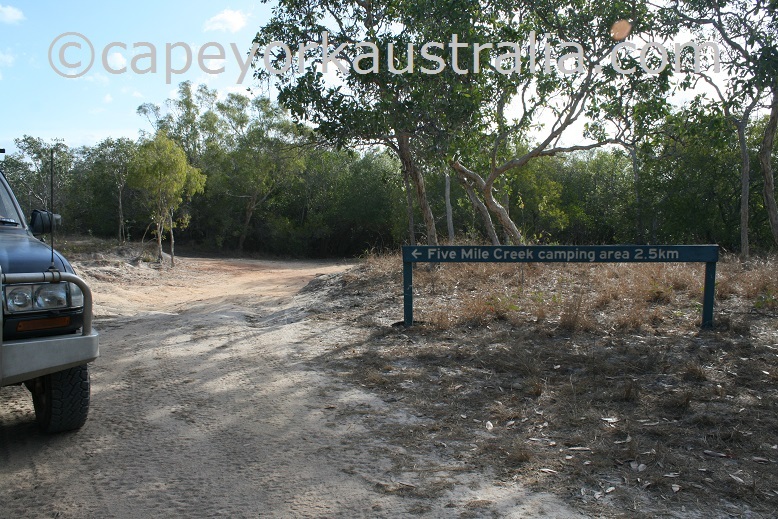 Further in you can drive to Five Mile Creek, which is another nice area and has shady camping, but has less salty water (and the creek can be dry towards the end of the Dry Season). And then there is another turnoff to Marina Plains. 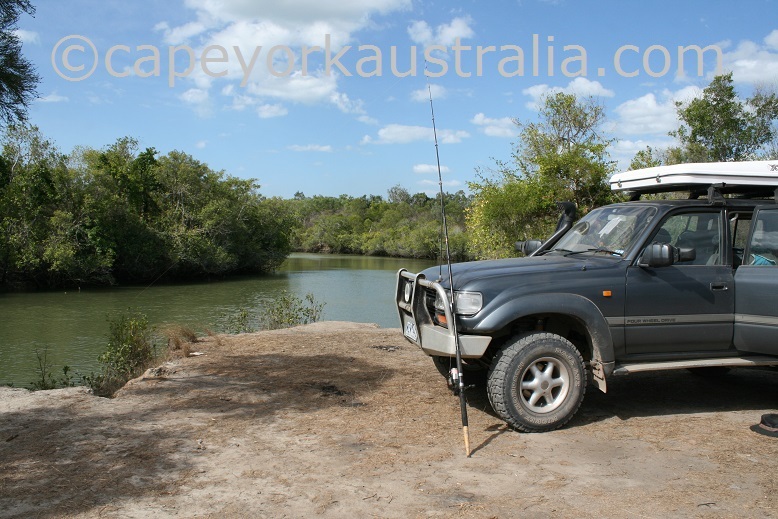 After driving across the vast floodplain, you come to another saltwater fishing spot with a mangrove-lined river. Again there is no access to the actual bay. Port Stewart is a small community on the eastern coast of Cape York. It is in the northern end of Princess Charlotte Bay. ... before it comes to Port Stewart on the coast. ... and a beach area in the river mouth, but that is as close as you get to the actual ocean. You can only see it in the distance. You can camp here - details in the Destination Guide. 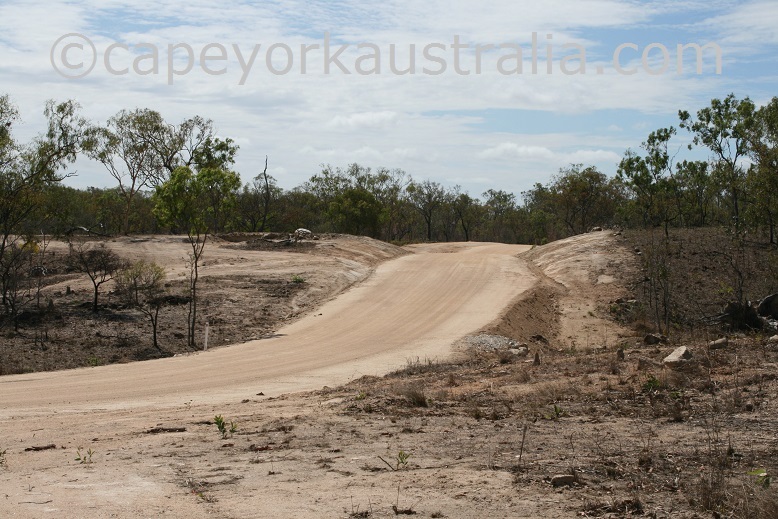 Annie River is in the north western end of Lakefield National Park. 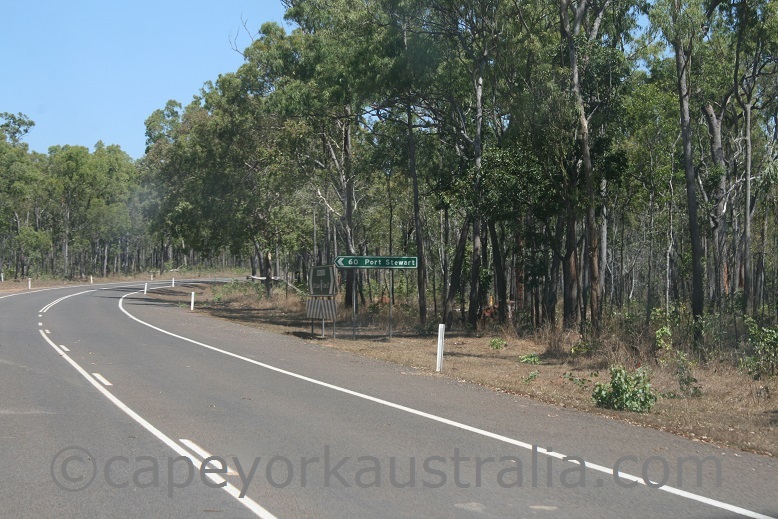 It is a popular place with long weekenders, school holidaymakers and other campers who like to come here and stay here, instead of trying to do the rest of the peninsula on the same trip. 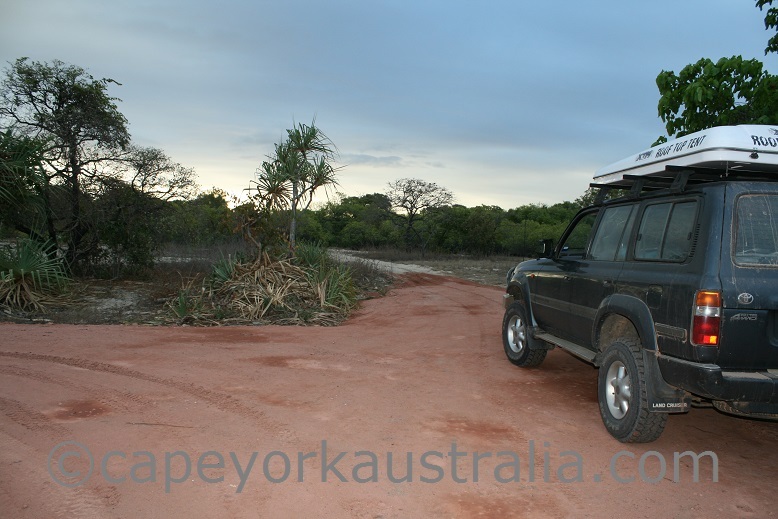 Most of them are from no further than Cairns, and the main activity of their trips is of course fishing. 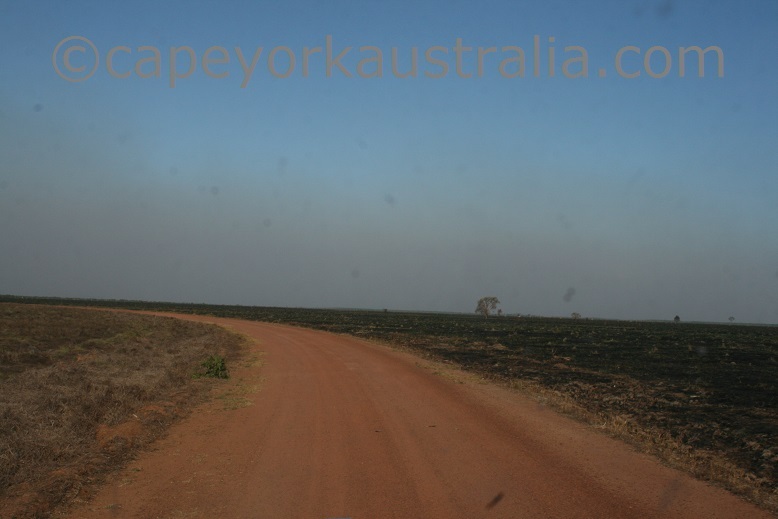 The road in is in the north western end of Lakefield National Park, and the turnoff is 43km west of Musgrave on the main road from Musgrave to Lakefield, Bathurst Head and Cape Melville. 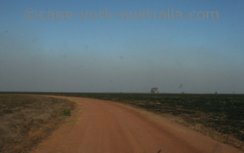 After about 12km in you come to a crossroad where you can turn east to Marina Plains or west to Annie River and Five Mile Creek camping areas. 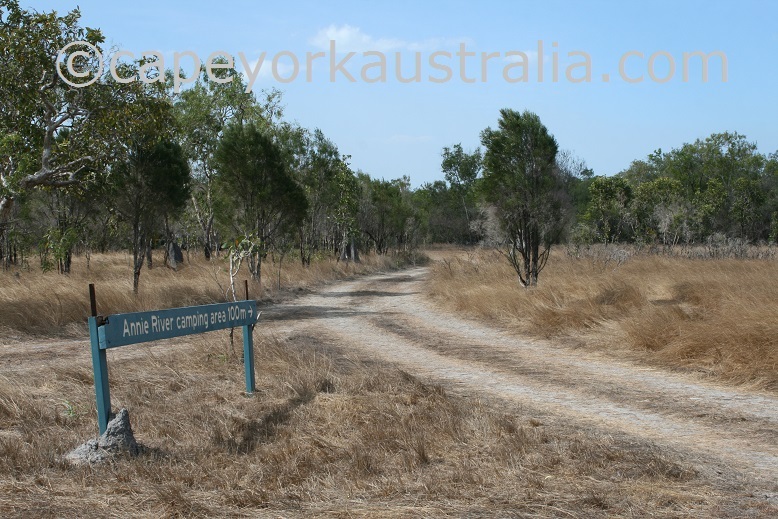 Annie River camping area is very well used for camping and fishing, even paths have been worn in to river banks by fishoes. Further in along the river you can keep driving to the Five Mile Creek camping area. 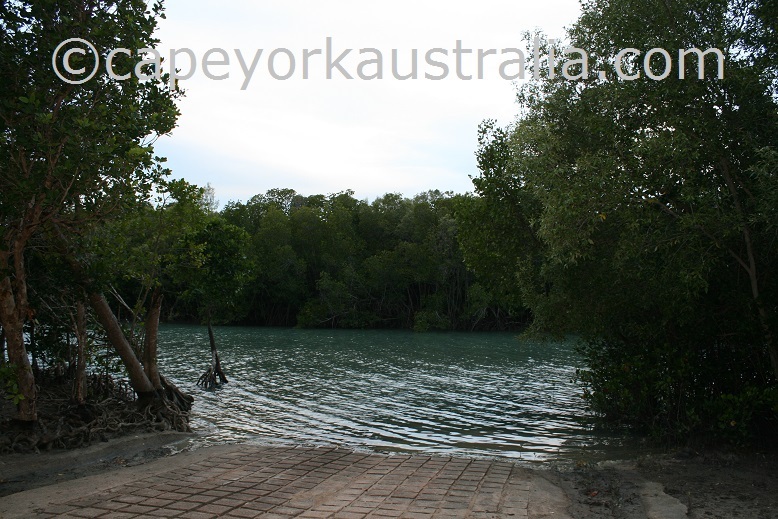 It is a beautiful shady spot to camp (as opposed to the one above, which is not shady), but the water is fresh so no mangroves or saltwater fishing. Back at the T-crossing, if you turn east you come to Marina Plains. It is another great spot for saltwater fishing and mud crabbing.